People have been drinking tea for 5,000 years and it's as-in demand as ever. In fact, tea is one of the world's most popular beverages, second only to water. 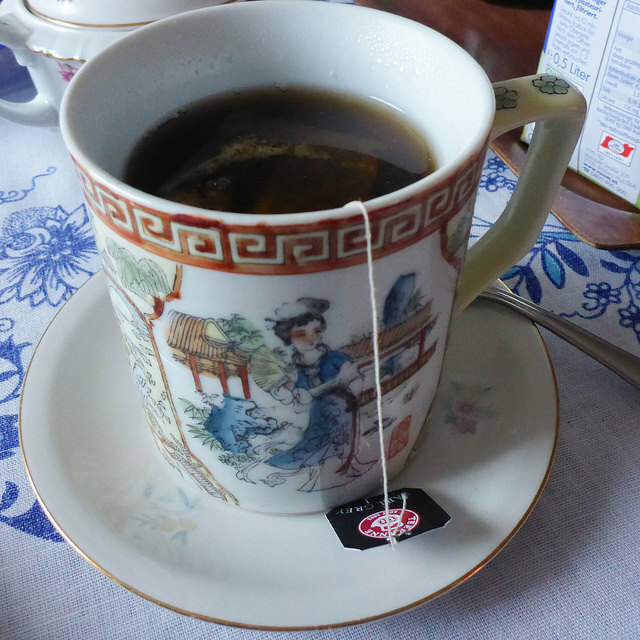 Canadians drink about 10 billion cups of tea a year and the amount continues to increase! There are thousands of studies investigating the potential health benefits of tea. How can this ancient beverage boost our health? There is evidence that drinking tea can help speed up your metabolism and may help you control your weight. It's not just the caffeine that explains tea's calorie-burning benefits. A meta-analysis combined the results of 15 studies on green tea and weight loss. Taking green tea extract and caffeine compared to taking caffeine only was associated with losing about three extra pounds over three months. Polyphenols in green tea have been shown to cause people to burn 65 to 200 extra calories a day, particularly from fat. Does this translate into weight loss? It seems tea drinkers tend to be leaner. In one study, men who drank two or more cups of plain tea a day had lower BMIs and waist circumferences compared to men who didn't drink tea. The researchers found that this effect was lost when they looked at use of artificial sweeteners. Putting artificial sweeteners in tea or coffee was linked to having a higher body mass index (BMI) than people who didn't put artificial sweeteners in their tea or coffee. 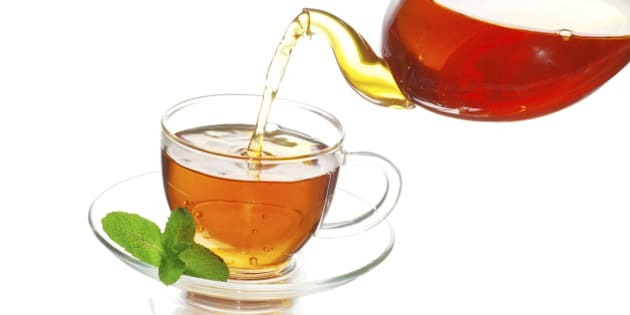 Tea can be a low-calorie beverage depending what you add to it. A cup of plain tea has only two calories, but once you start adding sugar, honey, milk and other additives, the calories and sugar can add up fast. If you drink more than two cups of tea a day, try to cut down on the amount of sugar or sweeteners you're adding. Also watch out for chai beverages or bottled teas that may have lots of added sugars. Tea is an excellent source of manganese, a mineral that helps break down fat and carbohydrates into energy and plays a role in keeping blood sugar stable. Controlling blood sugar is important not only for preventing and managing type 2 diabetes, but it can help prevent fat storage around your belly. (Photo credit: Christine and David Schmitt via Flickr). 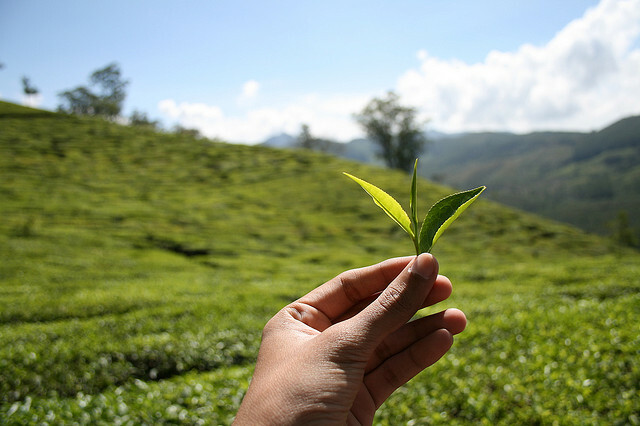 Most research on tea and cancer has focused on EGCG (epigallocatechin gallate), one of the antioxidants in green tea. Lab tests have shown EGCG to have more antioxidant power than vitamin E or vitamin C! Black tea also has antioxidants called thearubigins and theaflavins that haven't been studied as much. In cell and animal studies, EGCG has been shown to prevent cancer from developing in several ways. EGCG reduces the growth of tumours, prevents cancer cells from spreading and causes them to die. In these research studies, the tea extracts used are typically in high concentrations that people wouldn't be able to get from drinking tea. Studies in small groups of people suggest that antioxidants in tea can help prevent free radical damage that leads to aging and chronic diseases such as cancer. Research that looks at trends in populations and make links between drinking tea and cancer has had mixed results. Overall, there are some promising findings suggesting that drinking green and black tea may lower the risk of prostate and colorectal cancer. There are some small controlled studies that have found green tea extracts may help prevent prostate cancer from developing. More research is needed to be sure. A recent study of 1,000 women over 75 years of age found that the women who reported getting the highest amounts of flavonoids in their diets were at a 40 per cent lower risk of dying over the next five years. This was after adjusting for other factors such as smoking, obesity, inactivity and low intake of vegetables and fruit. In the high flavonoid group compared to the low flavonoid group, there were 64 per cent fewer deaths from heart disease and 73 per cent fewer deaths from cancer. Most of the flavonoids in the women's diets (82 per cent) were from black tea. When looking at flavonoids from black tea alone, the risk of death was also lower in women who got higher amounts each day. Flavonoids from other beverages and foods such as oranges didn't show a lower risk with higher intakes. (Photo credit: Ashwin Kamath via Flickr). In addition to lower risk of death from heart disease seen in tea drinkers in the study above, people who drink tea tend to be at a lower risk of heart disease. Drinking one cup of black tea a day may help people with high blood pressure lower their blood pressure. The tea also helped keep blood pressure under control and improved blood flow in the arteries after a high fat meal. This could mean tea has potential to lower heart disease and stroke risk. In a study of adults with high cholesterol, black tea was found to work better than a caffeine beverage and a caffeine-free placebo beverage in lowering LDL cholesterol (bad cholesterol) when part of a moderate fat diet over 3 weeks. Drinking five cups of black tea a day was shown to lower LDL by 11 per cent, apolipoprotein B by five per cent and lipoprotein(a) by more than 16 per cent compared to the placebo with caffeine. (Photo credit: Diganta Talukdar via Flickr). What type of tea is best? Each type of tea offers different types of phytochemicals in unique amounts. That's why getting a variety of types of tea is a great way to ensure you're experiencing the benefits of a multitude of phytochemicals. Lana Sutherland, CEO of luxury blender Tealeaves, says to choose teas in a variety of colours. "Tea colours span from the black (pu-erh) to dark brown (chai) to copper (ceylon, keemun) to light brown (fermented oolongs) to celadon (low fermentation oolongs) to jade (china green) to grassy (japanese sencha, matcha) to almost clear (white). But in terms of undesirable colours, its more that if the tea is dull or cloudy in your cup, that is often indicative of tiny particulate pieces of tea commonly found in very small-cut, dust fanning grades, which are typically cheap." 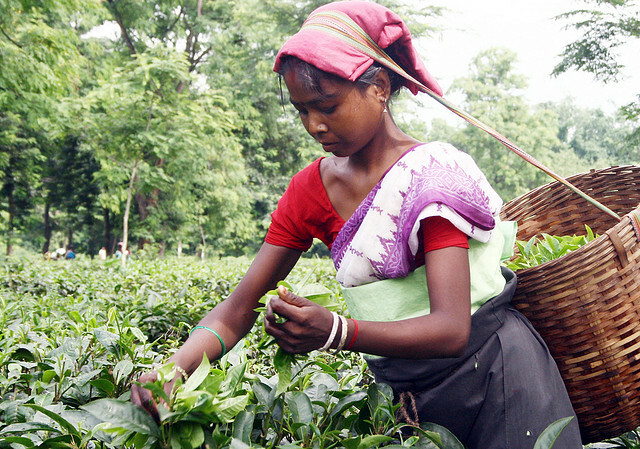 There is some concern about the level of pesticides found in tea. CBC Marketplace recently tested pesticide levels in a variety of green and black teas. They found half of the teas had pesticide residues above the limit allowed by the Canadian Food Inspection Agency. Some of the pesticides detected in the teas are being banned in some countries because they are harmful to the health of workers and to our environment. I recommend drinking organic tea to reduce your exposure to pesticides. Even though some pesticides may creep into organic produce, the amounts will be much lower than conventionally-grown crops. Anything you eat or drink daily or several times a day is worth investigating to make sure it's high quality and healthy. Some companies only use certified organic growers or growers that meet international standards for pesticide residues. They may also use lot traceability in their warehouse, keeping a close eye on where their ingredients come from in each and every batch. Do your homework and make sure your tea will help your health, not harm it. Whether you're an avid tea drinker or not, there are more ways to enjoy tea than you have ever imagined. Tealeaves has launched Palette for Your Palate, where its whole-leaf pyramid teas will be featured in entrees, desserts and cocktails at luxury hotels across Canada and the U.S.
Disclosure: Christy is an ambassador for Tealeaves.